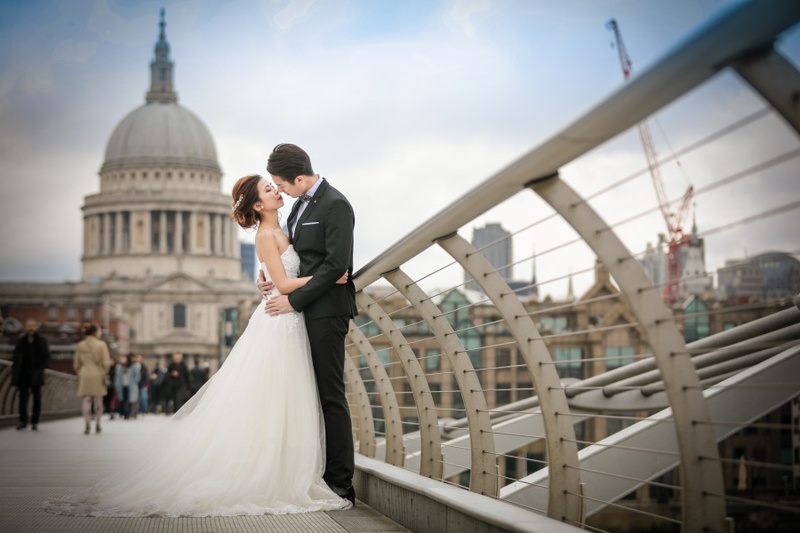 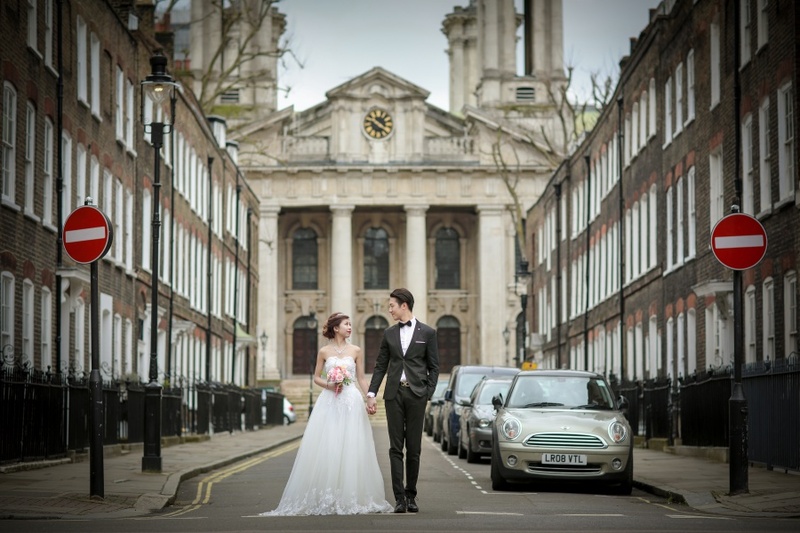 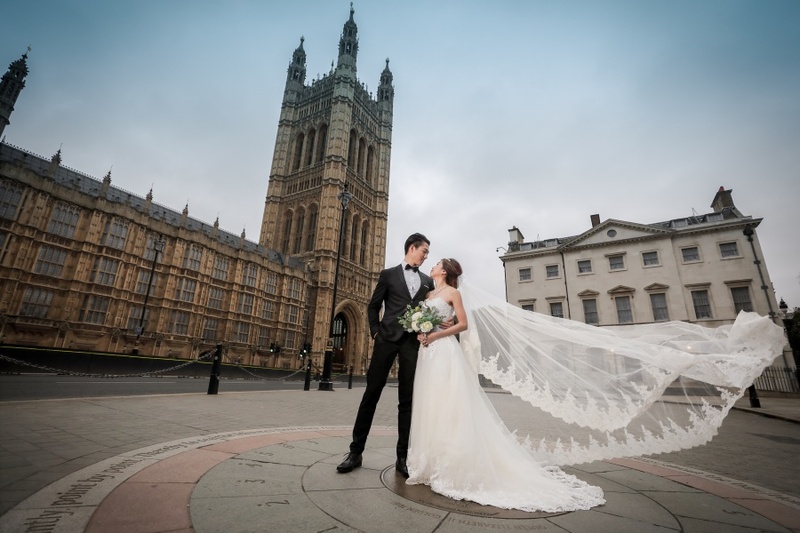 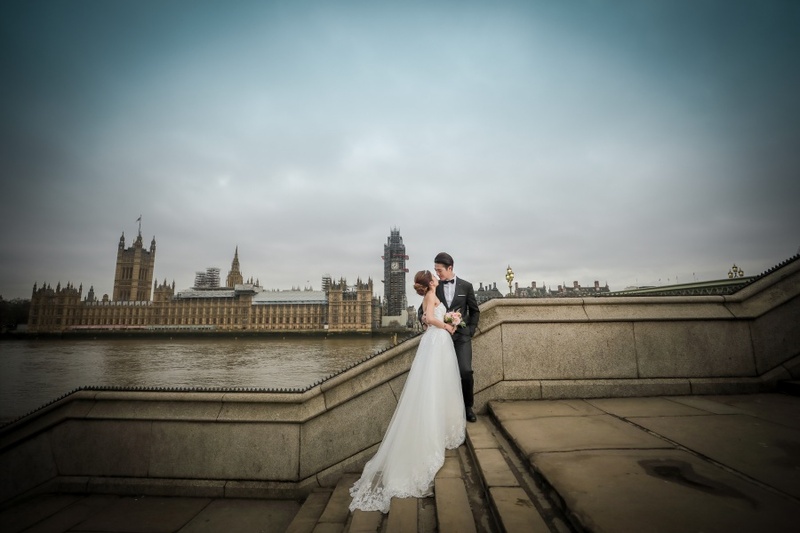 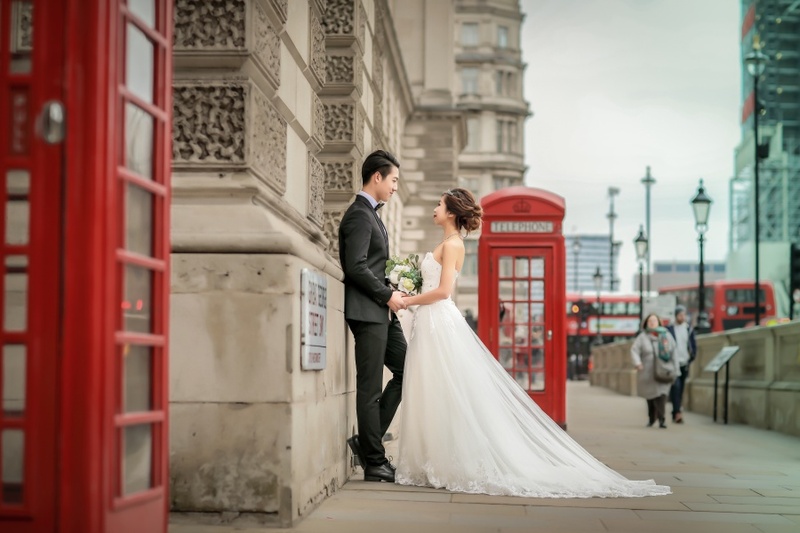 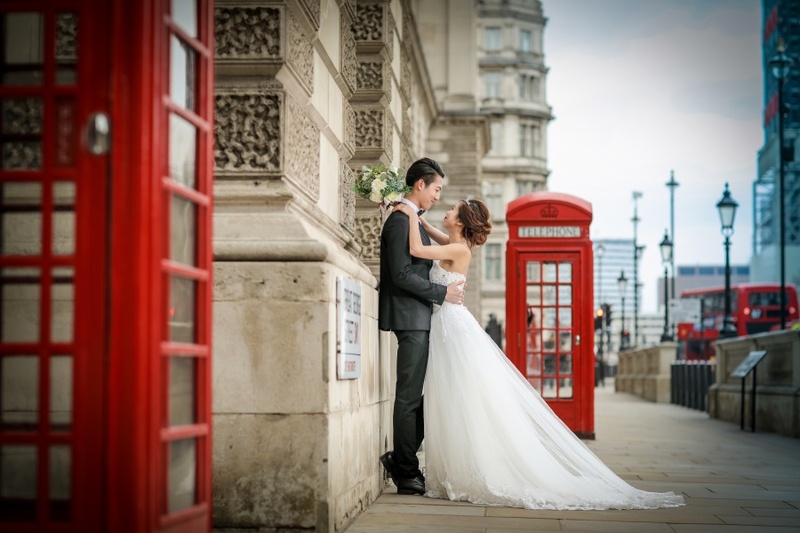 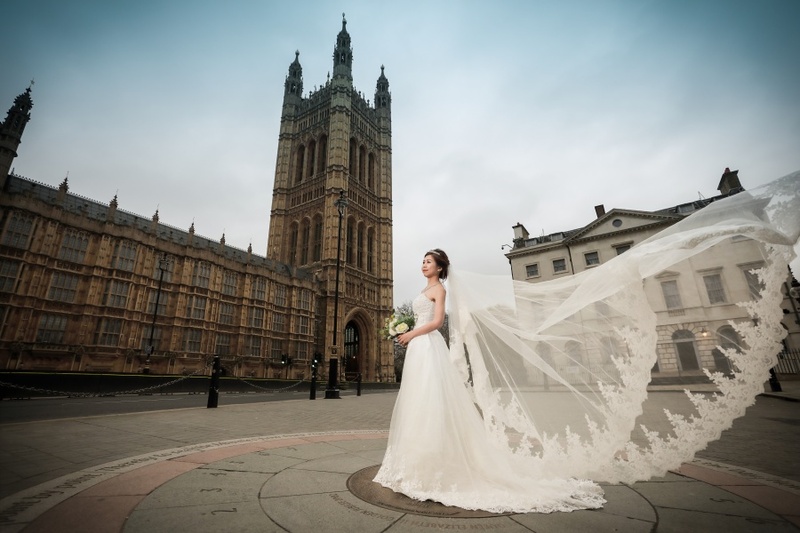 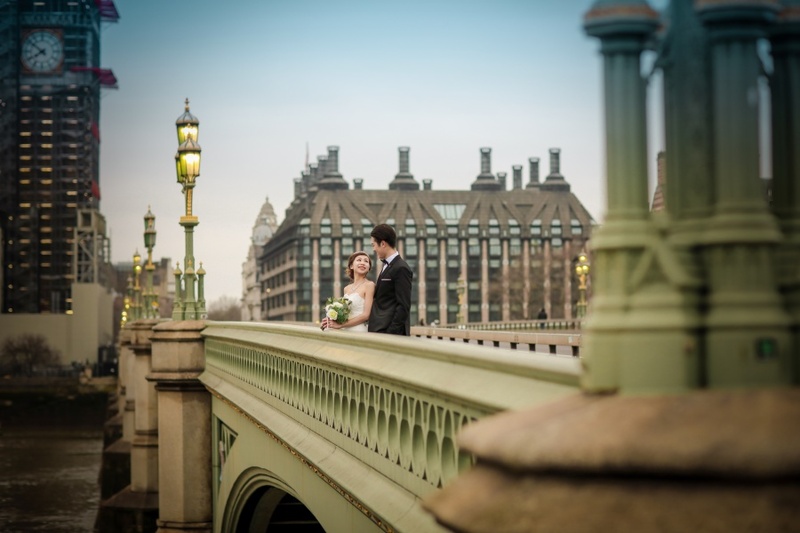 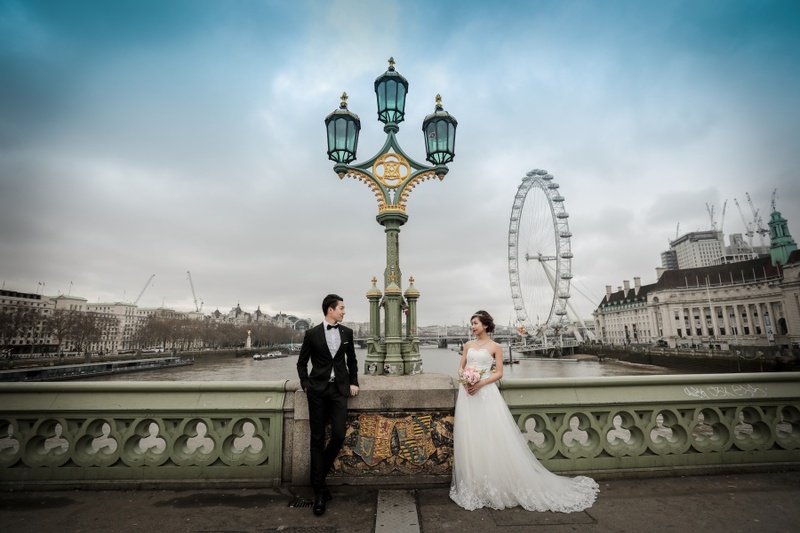 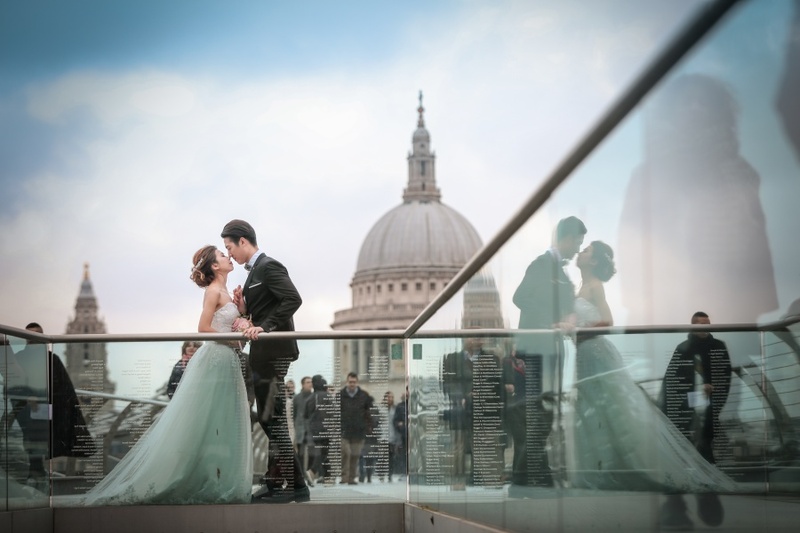 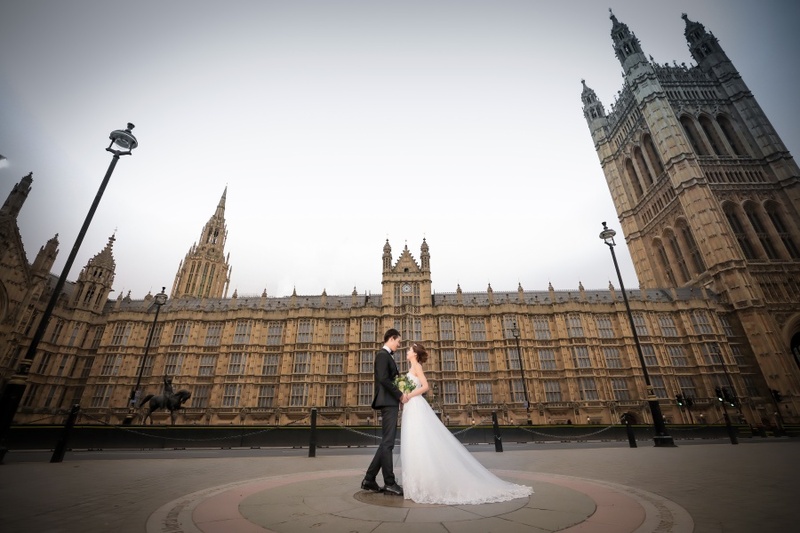 We had a long pre-wedding session with this couple starting at the Westminster Abbey and iconic streets of London where they could capture all its main icons! 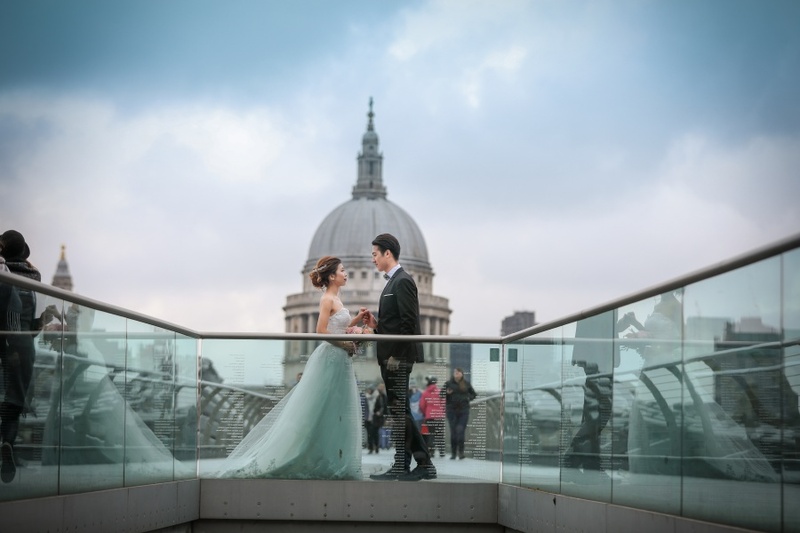 We then headed to the classic Millennium Bridge and fortunately, we saw some cherry blossom trees along the way which added some colours to their photos since it was a rather gloomy day. 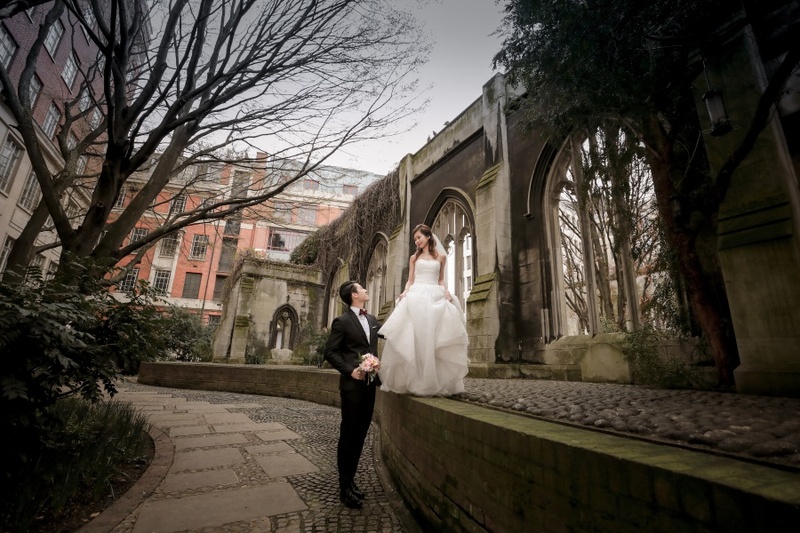 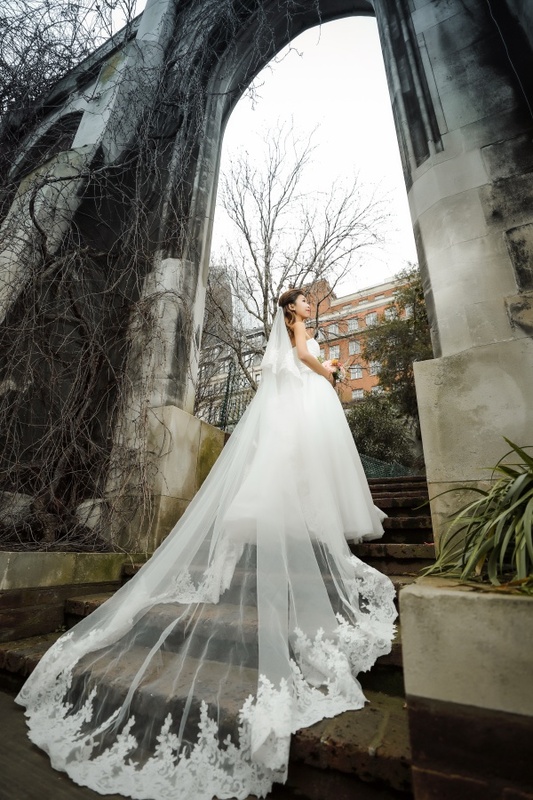 We also brought them to a hidden gem around London, which is an abandoned church and much of it is in ruins. 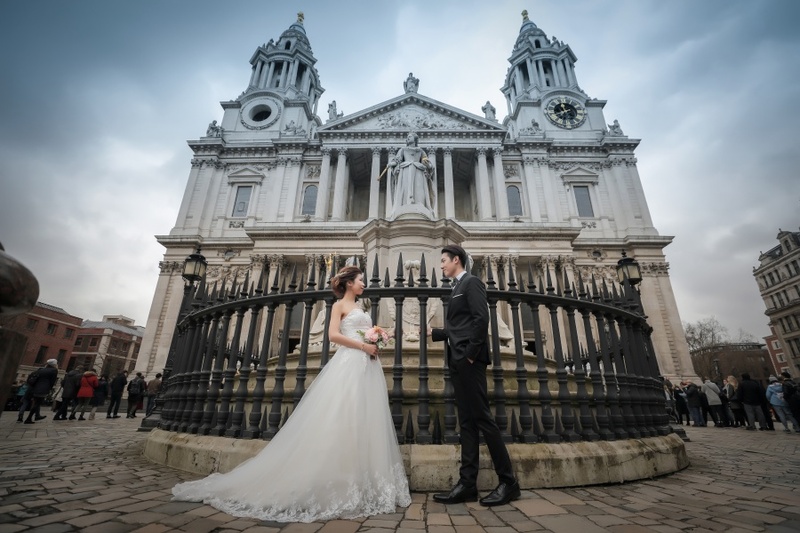 However, that rugged and worn out church made an alluring backdrop that is vastly different from the sights around the city!